The vibe and excitement on the Norwegian Epic is palpable. The target market is young and active. I was surprised at how much there is to see and do. The vibe and excitement on the Norwegian Epic is palpable. The target market is young and active. I was surprised at how much there is to see and do and this is the only cruise that I have ever been on that I used my BlackBerry on the ship to keep up with my packed schedule. For some this is perfect but one elevator conversation overheard was a 30 something male saying "all of this to see and do is nice but I miss them just telling you when and where to show up." There were 400 children on board but unless you were at a venue targeted at kids such as the Slime Time or the AMAZING water slides they were really not apparent. The kids seemed to be having a great time! My sailing experienced unseasonably cool weather but I can only imagine that kids would be in heaven on this ship with so many kid friendly features from rock climbing walls to a buffet that has something for the whole family. Food in the specialty restaurants was consistently very good. This option is welcomed by foodies. Main dining is good. The buffets on deck 15 are solid in variety and space. They seem to be one of the most popular venues. Quality deserts at the buffets were the glaring deficiency with too much gelatin and too little flavor, the exception was ice cream. On board revenue is certainly a prime motivator on this ship every opportunity is certainly being mined sometimes at the expense of the experience. As I sit in the noodle bar at lunch waiting for my bill I am struck with how unappealing it is to have the noxious casino sounds invading what should be a pleasant and relaxing lunch. The spa and gym are massive. The spa access that can be purchased by the day or the week gets rave reviews, if this is of interest sign up ASAP as the limited slots go quickly with what appears to be a high repeat factor from past participants. I tried one spa service and it was typical for Steiner. Shopping is open, airy and attractive. Selection is typical. There are some movies shown on the SUPERsized TV in the atrium as well as sporting events. Sports can also be seen in the adults' area at the top aft of the ship. The cabin TV has very limited free viewing. This is certainly a ship to bring your own DVD and player with earphones to catch up on things you have not had a chance to see at home, you can choose your diversion and drown out the other sounds and music in the public areas. The HUGE exception to the overall noise is the suites. NCL has elevated these premium paying guests to a level of luxury that rivals a top hotel. Elegant Tranquility is the theme. It is not so much the size and amenities of the cabin as it is the private cocoon that is part of the experience. Coupled with reservations in the specialty restaurants and you have top notch R&R at sea. If that is out of reach then certainly a balcony will be comfy if not so luxurious. But even those I spoke with in inside standard cabins were happy and felt they received good value for the dollar. I would think that with the exception of the solo cabins and suites that this ship is best suited to couples with few modesty issues. Most deficiencies on the Epic are related to design rather than execution. I'd read about the revolutionary bath designs. They came out only as odd and ill functioning. The subtle design flaws were not even addressed in describing the big goofs. Walking from one public space to another is an exercise in avoiding the gridlock of bad design and income producing opportunities that turn a pleasant stroll into something as unpleasant as shopping for a used car. The squawk of an unintelligible announcement on the PA makes it even worse. Designers seemed to be aiming at multitasking on this ship from the split bath design to using the corridors on the public decks as a casino or shopping area. Even the long corridors on passenger decks have a maze like quality. They even attempted to use a main dining room as a show lounge but without addressing the sight lines. These ideas would have been great if they worked. The old maxim that form follows function was not a rule that was successfully challenged on this attempt. There seems to be more of the "you can't get there from here" problems on the Epic than would be expected and some of that comes from trying to funnel passengers through one entrance since reservations are required for so many venues. Passengers are checked in with a handheld device and the empty seats are filled with standbys in a queue as space is available so that even with reservations you should plan to arrive 15 minutes or more before show time. I would worry that even though the current shows are popular that they will not warrant a second visit. There was no true library (it had been taken over by the art auction) and even after careful searching I could not find a quiet comfortable reading area inside during our cool and windy sailing. The Epic is big but only has 2 elevator towers lacking mid elevators, this was most apparent as an issue when disembarking. The variety of cabins certainly broadens the appeal of this vessel the solo cabins were very popular with those I chatted with. Balcony cabins can be problematic as only the last 9 aft had views down into the water. I was in an inside cabin in this area and only felt sight motion during moderate seas and some vibration at docking. There are no Outside cabins on the ship. Closest competitors will be newer Carnival and Royal Caribbean ships. The Epic leaves Carnival looking "dated" but dependable. Royal Caribbean should take note of the many things on the Epic that is working. NCL is known for having inconsistent service so I am hard pressed to declare that problem solved but on this cruise they met the mark for similar rated ships. The Epic may well be an exception to the service issues in the NCL fleet due to the attractive single and double berthing for the crew. The norm for the rest of the fleet is Quad. This makes for a much happier crew with better retention. In fact, I had absolutely no issue with any service delivered. The entire experience was well orchestrated. Just before Christmas is the time that cruises attract lots of mature adults. The single cabins appeared to primarily be filled with mature adults and the Living Room was well utilized by them during the evening cocktail hour. With the addition of more comfortable reading chairs this area may have been utilized by more singles since there is not a chair in a TS cabin. The toilet area reminds me of a class C motor home. The sink area has no surface around it. With the space available it seems so very odd that NCL did not borrow from the motor home industry and with just minor design changes this area could have been dynamite. Clothes storage is limited to about 2 feet for hanging clothes. About 6 hangers are provided but no skirt hangers. There are NO drawers. There is NO nightstand, in order to have a place for the things you would normally put on a nightstand. You have to leave the closet open and use the lower shelf. If you do that you can't watch TV as the door slides over the TV. Now that these cabins have been converted to solo cabins changing the queen bed out for a 3|4 and a nightstand would make this room much more comfortable. A welcome addition would also be a memory foam topper as the beds are very firm. The ambient lighting is fine but the reading light at the bed is weak and there is no other area to read in the room. If you are light sensitive it is difficult to get the room dark, mainly due to the LED around the buttons for the night light. I did not understand the window to the hall before and I still don't. 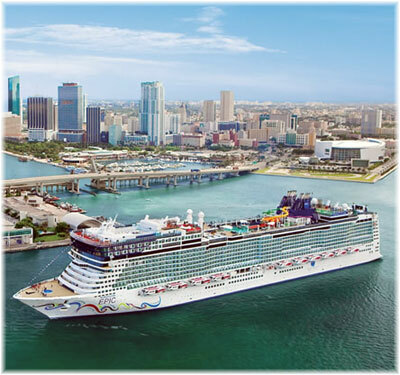 More images and info of the "Norwegian Epic"